Canyon Creek — Plan West Inc.
Canyon Creek has become a unique multifamily residential neighborhood in Douglas County. The combination of three-story condominiums and townhome are sited to create a comfortable and safe pedestrian neighborhood with front doors on the street and backyard living spaces. 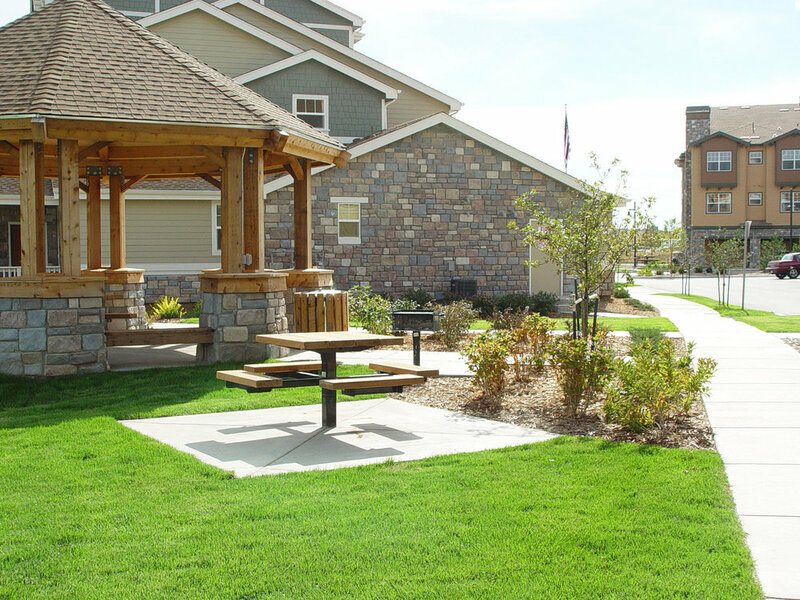 Pocket parks host barbecue dinners for your family and friends. 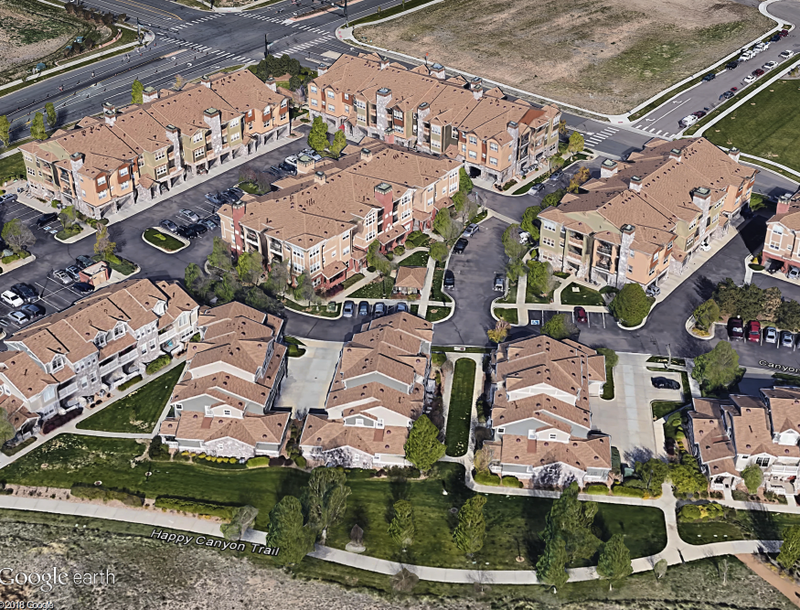 Walks and paths through the adjacent open space provide connections to the Happy Canyon Creek trail with links to the Cherry Creek and E-470 trails. The parks provide focal points and nodes for visual interest and personal comfort. The multifamily site development offers all the comfort of a backyard living environment in a multi-story condominium / townhome neighborhood.